Use with tinted and flavored chocolate to match the mold or use with your favorite mint recipe. 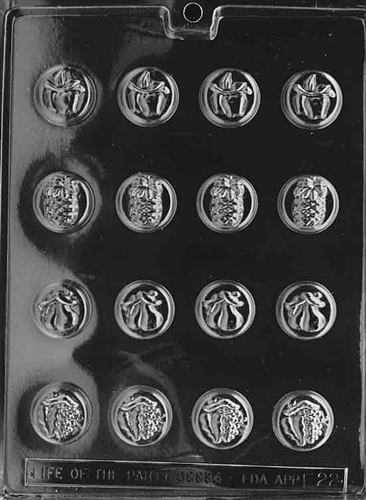 Create various refreshing and delectable treats with our Assorted Fruits Mold. 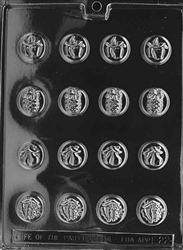 Each piece is 1-1/8" diameter x 3/8"